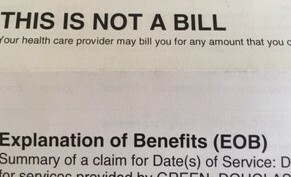 I’ve had another battle with the insurance company; you could probably tell that by the title of this piece. It is hardly news, but I have just personally rediscovered that the business motto of all insurance companies is: deny the claim. Yes, deny the claim, and maybe the insured will go away. I bet it works most of the time. But not with me. I am tenacious: when my claim is denied for services I have paid for, I keep calling and appealing to try to get my claim approved. Throughout this process I have had staff in the doctor’s office tell me,”Oh insurance company representatives lie to members all the time.” I had insurance company reps do the usual: keep me on hold for half hours at a time, tell me they couldn’t help me, I was calling the wrong department, put me on hold again to transfer me to a different department, and tell me things that just did not make sense. Then they played a new game: because I was asking to be covered for a doctor that was out of network, they denied all the in-network services too. I appealed. They finally agreed to pay for the in-network people. They hoped I would go away happy. After all, they finally agreed to pay for the services I paid them to cover. After wasting my time and theirs, they finally granted what they should have given me all along. But my story is boring compared to some of the real harm caused by insurance companies denying coverage. I still burn when I think of the unscrupulousness of telling someone still doped up from major surgery that they had better leave or they would be solely responsible for paying a massive debt. The actions of insurance company representatives are directly responsible for the worsening of the health and the need for further medical treatment of their insureds. The point: don’t let them scare you! The whole business of insurance is expensive and it takes its toll. Most people do not have an option to determine what type of coverage they want. And even if there is a choice, the language of the contracts make it difficult to compare and contrast the different policies and their benefits. 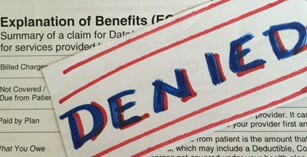 It is so complicated to figure out what benefits you are entitled to even when you are in the best of health that you need to figure out your rights and the coverage you are entitled to before you are sick and in a disadvantaged position. And don’t forget to make sure you have a healthcare proxy. In all this mess of a battle, there is some hope. Some insurance representatives actually do their jobs and try to make sure they answer questions and pay properly submitted claims. I HAVE dealt with a few of them. But arm yourself for battle: designate an advocate for yourself and read up on your coverage now while you are healthy so you are prepared to fight when you need coverage.